No matter how digitally savvy we are there is always a time when we reach for a pen and paper. And to be fair, in the same way that some people prefer the feel of a real book to an e-reader, the same can be said for a notepad. Our notepad printing covers all the options in terms of size, covers and uses and consequently delivers a great retail or promotional product. Our super useful weekly planner pads come in three sizes and with 52 pages printed in gorgeous eco-friendly inks on 100gsm uncoated recycled paper. Each pad is stuffed with 52 sheets (1 per week! ), glued at the top edge and supplied with an optional hole for hanging. You can print your Custom Weekly Planners with two different designs for the same price and gives you the opportunity to showcase your artwork or for corporate use include key company information or product/service specific information. Our notepads are eco-printed in gorgeous full colour on 100% recycled paper. 50 sheets per pad provides plenty of opportunity to take notes, make lists and record jottings. 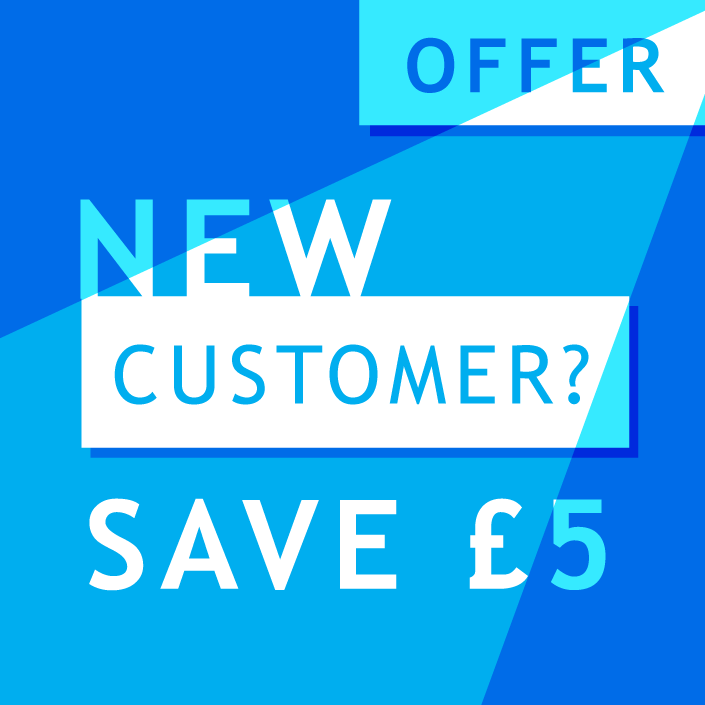 Have fun with design and colour and print 1, 2 or 4 designs for the same published price. 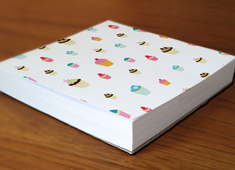 Notepads are no longer just for the office, although they look equally good there! These Memo Note Pads are bespoke printed with your designs on 100gsm Recycled paper, glued with 100 sheets per pad to a board back for extra strength and stability. 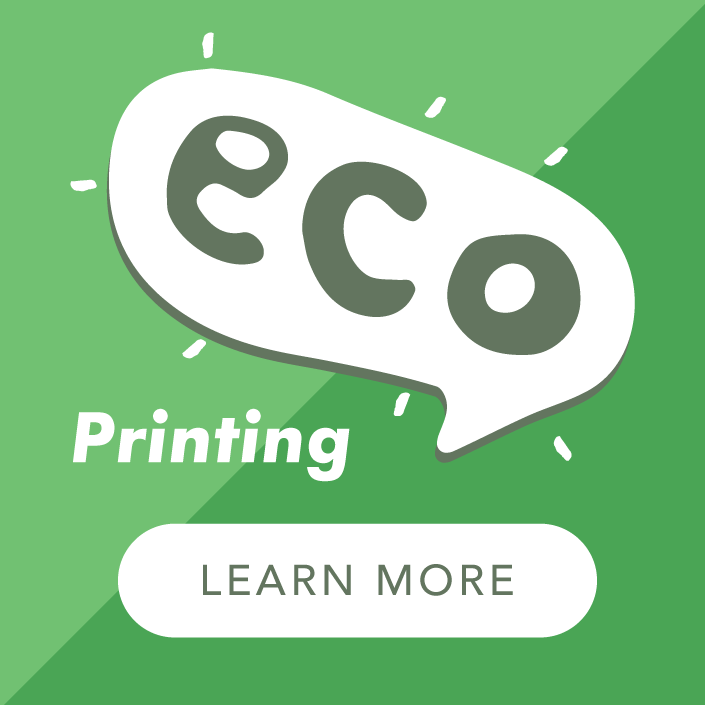 Eco printed with vegetable oil based inks and available with our unique Multiple Designs offer. Each pad is finished size is 85 x 85mm. With our memo note pad printing you can have four different designs for the same price - but check our printing information for full details. Long List Note Pads, To Do Pads, Message Pads, Shopping Lists - the range of uses for these handy pads just goes on and on! Litho printed with eco friendly vegetable oil based inks on 100gsm Recycled paper and glued on the top edge with a board back. Each pad is 210mm long by 75mm wide and padded with 50 sheets. With this long notepad you can benefit from our unique Multiple sorts option and have fun with three different designs for the same price. Our notepads with covers are 150mm long x 75mm wide and come with 30 or 50 sheets in each pad which my be plain or printed. 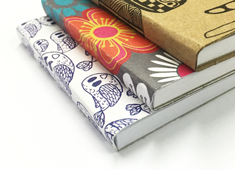 You can select from our popular Kraft, Recycled or Premium Smooth covers and make use of our miltiple sorts option for up to four different designs for the printed covers. Each pad is glued at the head on to a board back for extra strength and stability. All of our custom note pads are printed in full colour with vegetable oil inks on to thick 100gsm uncoated, recycled paper for a really fab eco printing product. These pads are ideal for re-sale or even to use as a fun promotional give-away to your customers. Because we print our pads on litho presses there is a limit to the number of different designs that you can order within the quoted prices. Memo Note Pad - you may supply 2, 3 or 4 different designs for your memo note pad. Each memo note pad will have 100 pages of the same design throughout - we cannot mix the designs within individual pads. We will print an equal split of note pads within your order, ie ordering 500 pads with 4 designs will give you 125 pads of four versions. A6 Notepad - you may supply 2 or 4 different designs for your A6 notepad. Each pad will have 50 pages all printed with the same design throughout. We are unable to mix different designs within the pads. Please note that we will print an equal split of notepads per design - so 200 pads with four designs will equal 50 pads per design. 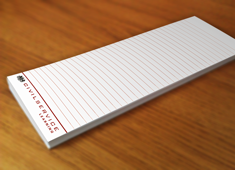 Long List Notepad - you may supply up to three different designs for your long list note pad. 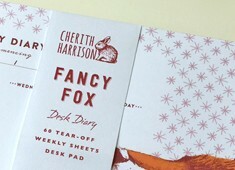 Each list note pad will have 50 pages of the same design throughout - we cannot mix the designs within individual pads. We will print an equal split of note pads within your order, ie ordering 500 pads will give you 167 pads of three versions. Weekly Planner Pad - you may supply up to two different designs for your weekly planner pads. Each weekly planner will have 52 pages of the same design throughout - we cannot mix the designs within individual pads. 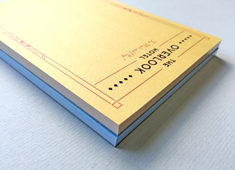 We will print an equal split of note pads within your order, ie ordering 500 pads will give you 250 pads of two versions.